If you think it’s high time to change WordPress theme, on the exterior front, the entire process may turn out to be a harmless one. Truly, changing the theme can be so easy that not many people would have paid heed to the difficulties. Moreover, these days, without the need of any manual FTP upload, changing a theme can be done right from the dashboard itself. So, it turns out to be safe, quick, and uncomplicated, isn’t it? Maybe, not! 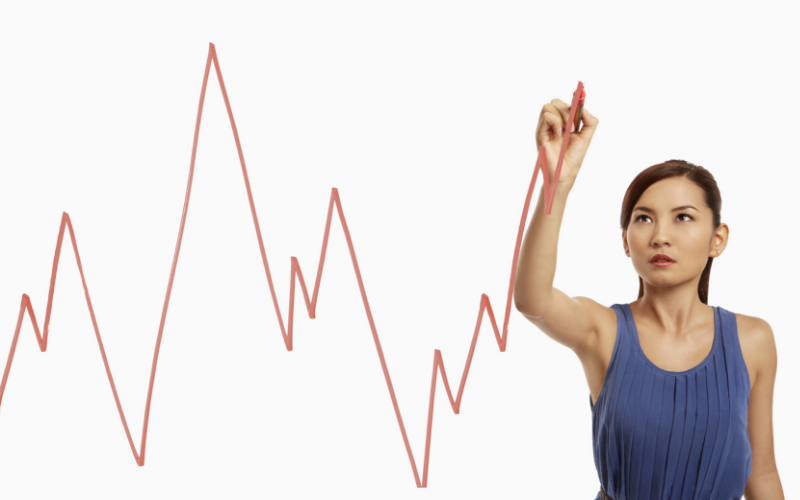 In reality, the ease of changing primarily depends upon how you have set up your website. One of the major things about WordPress websites is that, over the period of time, it converts into a puzzle. Once you have your theme, activated plugins, small & major changes done; all of these factors comprise into a striking functional site. And, that’s the reason why it’s essential to be cautious when you change the theme or even update the website, for that matter. If you rush into things and pull out the wrong fragments, your entire structure may collapse. So, here’s how you can safely change your WordPress theme step-by-step. If you haven’t decided upon anything yet, find a new alluring theme without further ado. 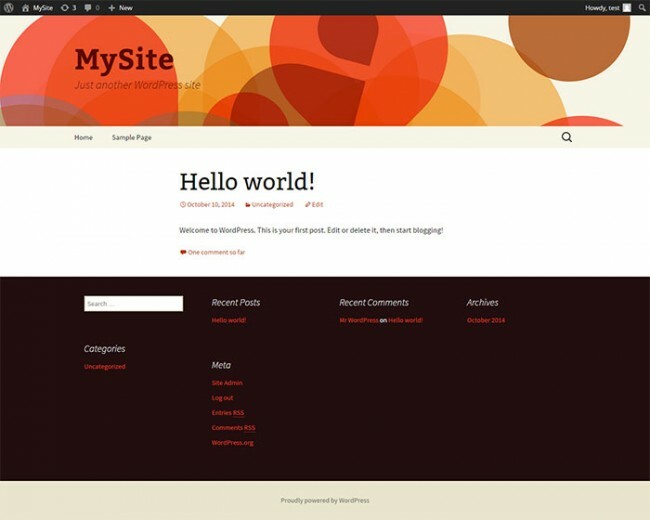 If you wish to navigate through premium WordPress themes, a great place to find options is on Themeforest. Here, you can easily come across a variety of theme, comprising added features, color options, page builder compatibility, and much more. On the other hand, if your budget doesn’t support a premium theme, you may also explore your free options in WordPress.org, which is a significantly enormous repository of WordPress and keeps adding new themes now and then. Also, while selecting a new theme, there are certain factors that you must keep in mind. The list may include plugin compatibility, responsiveness, browser compatibility, prompt support, and more. Once you’ve found an adequate theme, it’s time to move on to the next step. 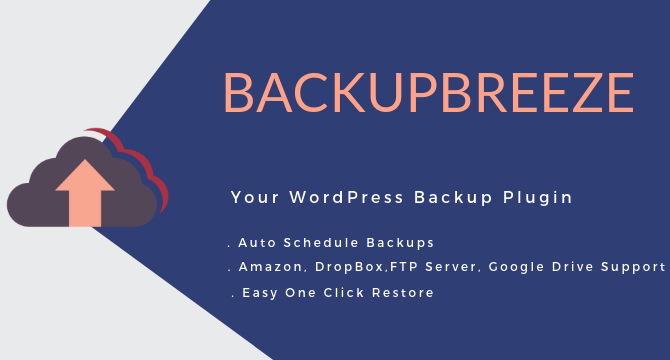 Before you change the theme, it’s recommended to take the complete backup of your website. If you’re new to it, you can either use a plugin to take the backup or do it manually. Regardless of the method you choose, both of them are quite easy, even if you’re a novice. Once you will completely change the theme, you can also schedule daily backups, to be on the safe side. And, your backup is done. Even before you decide to experiment with your live site, you must make sure that you’re professional enough to prevent undesirable problems. If not, it’s always recommended to clone your website, regardless of the task you wish to execute. 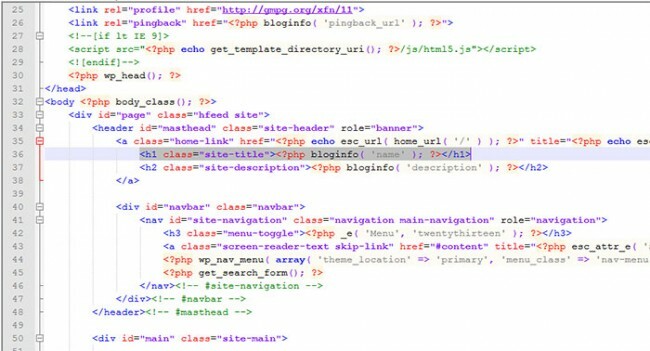 Now, when you’re ready to install WordPress theme, there would be two different methods to clone the site for testing. Either you can set up a local server or use a staging site that is available with a hosting plan. This one is a great way to clone your site as the local server would be accessible even if you don’t have an internet connection. Similar to backing up, this method also gives you two different options; either use a plugin or do it manually. Install local server WordPress & software, which you can choose from WAMP, XAMPP, MAMP, and more. Wait for a while, and the plugin will finish importing your website. Replace URLs by editing two fields of the database, site URL, and home. You can find these options under wp_options. There are several hosting companies, such as WPEngine and GoDaddy, that provide one-click staging when it comes to cloning the website. This one is a great option as you can always test your theme online on different devices, something which isn’t possible with the localhost setup. This step would be as easy as logging into the dashboard of your staging or local website. You would have to install and activate the theme first. 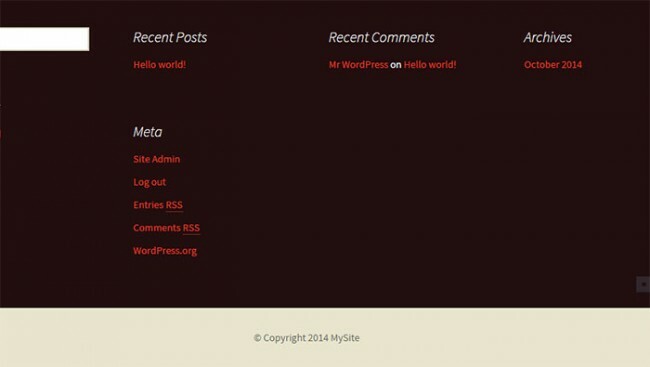 And then, there are certain steps that you might want to test when you change WordPress theme. This will display all of the PHP notices and errors on the front end of the site. Although not every error would break your site, still, it’s advantageous to fix all of them. It’s nothing but a good idea to have a look at widget options, footer columns, sidebar width, ad spots, and any other widget ready areas. This way, you’ll make sure that there aren’t going to be any surprising situations erupting later. There is a variety of themes that use custom fields. Thus, if you’ve been using one to define certain audio, video, gallery, or anything else, you may have to tweak the output of the post formats in the new theme. This can be easily executed through child theme so that you can use the old meta on the old posts. If you’ve been using SEO optimized WordPress themes, you might not be able to carry their inbuilt SEO features to the new theme. Therefore, if your new theme isn’t supporting any inbuilt SEO features, it’s recommended to install relevant plugins on the live site and fill out the void before you begin updating. Now that the thorough testing of the WordPress theme is done, you’d have to log into your dashboard and install the same on the live site. However, before you activate the new theme, just conduct a quick check with the help of the Live Preview option, to be on the safe side. You can use this option and check a few pages just to ensure that everything looks perfect. Also, before activating the new theme, you may also install a coming soon plugin. In this way, even if you’d wish to edit a few things after activating the new theme, your visitors won’t get to see what’s happening at your end. 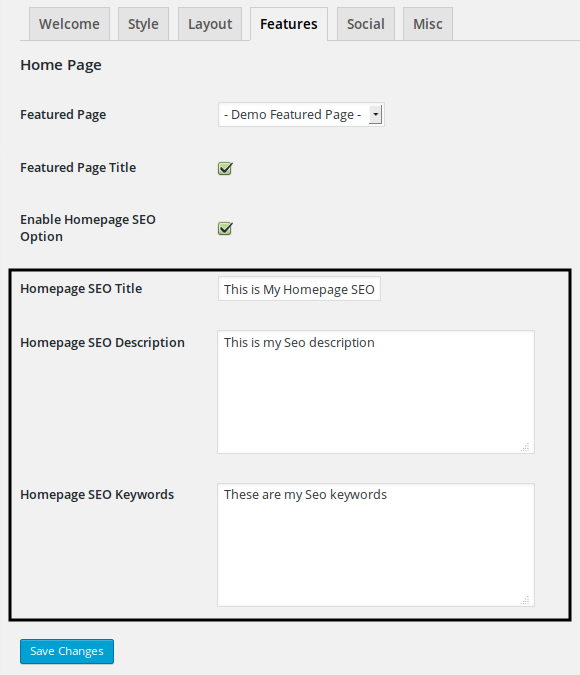 Once you’re ready, navigate to Appearance and click on the Themes button. After that, click Activate, and your new theme will be live. Someone who hasn’t experience the process to change WordPress theme, this may seem like an over-complicating method. However, it’s surely not. But, make sure that you’re taking enough cautiousness and being attentive while executing the entire process to prevent unnecessary troubles. Since the early days of the internet marketing and website development, the mantra has remains quite the same – to keep every essential element, including CTA buttons, above the fold. Apparently, this specific section has become a valuable aspect of the website’s real estate. Hence, giving rise to above the fold optimization. Apart from this, everything that falls below the fold gets lost in the no man’s land or the abyss of the no-scroll area. However, since the last decade, things have changed significantly. A majority of internet users know how to make the best out of a web browser. On top of that, the availability of tablets and smartphones has persuaded an average user to scroll and swipe seamlessly and endlessly. According to the changing trends, even web designs have evolved enough to incorporate a variety of modern-day aspects, such as multi-device responsiveness, mobile optimization, and more. This raises a vital question – does above the fold area still matter? Let’s find out in this post. However, before that, let’s understand a bit more about this term. The business of a newspaper is liable for the origin of this term. Above the fold referred to the newspaper content that was printed before the fold. Whenever newspapers were displayed on newsstands, vivid imagery and catchy headlines that were published above the fold obtained more attention. This convinced more and more people to buy newspapers. Gradually, newspaper publishers realized that publishing leading headlines above the fold helped them sell more papers. Although the business tactics evolved and a majority of owners shifted their brands online, the term still maintains its existence with grace. As far as a website is concerned, above the fold simply means the section that appears on a device before you scroll the website. It’s important to keep in mind that the information showcased above the fold can vary based on the screen orientation and size. In a website, the layout and placement of content hold utmost importance. This is because content that is published above the fold catches visitors’ attention the moment they land upon a website. This section is the primary real estate that gains most of the attention from visitors. Considering high visibility, the content that you publish above the fold should be important enough to help you achieve your objectives. Also, it should be catchy enough to grab visitors’ attention instantly and should compel them to find out more instead of bouncing to another website. Having said that, placing ads in this section of the website can enhance visibility and can also create more ad revenue in comparison with the ads published in the less popular area of the site. 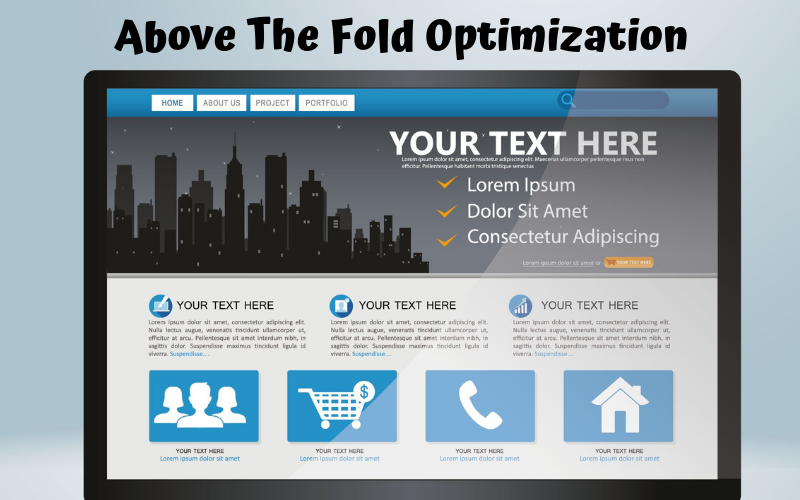 In reality, it’s quite impossible to define an individual fold placement for your site. The perfect location of the fold may vary, owing to the different screen sizes, of both laptops and desktops, browser plugins, screen resolutions, and different sizes of tablets and phones. While determining a typical fold placement, a majority of designers conclude that the fold line should be 600 pixels tall and 1000 pixels wide. Surely, it can be the best choice for common browser/monitor combination of 1024 x 786 pixels, with no toolbars installed at the top and maximized window browser. Moreover, by tracking the website analytics, you can find out the most common screen dimension used by your visitors. Although 1024 x 768 has been the most common dimension traditionally, there are many that are gaining popularity with each passing day, such as 320 x 568 and more. The accumulative usage of a myriad of mobile devices for internet browsing has further complicated the above the fold optimization process. As if a variety of screen sizes wasn’t enough to tangle up the procedure, the fact that most of the users even browser in landscape mode, which turns the traditional design of the page sideways, can create more hassles. With people accessing websites across a variety of devices, the present web designing practices comprise making use of a responsive design that can help keep the layouts, style sheets, and images flexible. When you use a responsive design, you wouldn’t have to keep any fixed layout for your web page. Not just that, but the content keeps reflowing, irrespective of the screen size. With responsive web pages, your website will be able to react to the environment in which it will be browsed. Although the best practice is to publish important content on the top of the page, you may also consider designing your website in such a way that every aspect of it compels visitors to scroll so that they won’t miss anything available on the site. 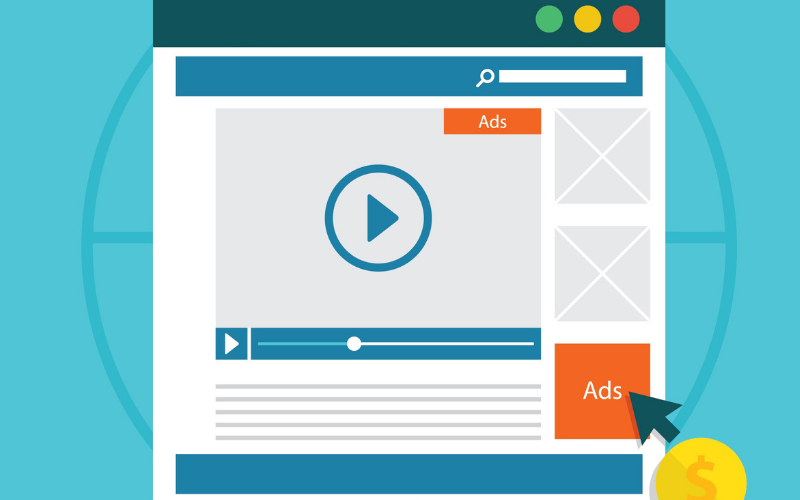 Though it’s a good practice to publish ads above the fold area of the site to gain a maximum number of views, however, taking ads overboard can have certain negative impacts as well. Over the past few years, Google has come up with several algorithm updates, meant to penalize websites that put an excessive number of ads above the fold, resulting in essential content being pushed down. If you place tons of ads at the top of your web page, know that this activity will not only provide bad user experience to your visitors but can also result in the decline of traffic. To prevent this problem, you can use SEO optimized WordPress templates to maintain a balance between user experience and maximized number of ad views. Optimizing the placement of ads and content on a website is a periodic process that includes analyzing data, testing, and experimenting. While optimizing the layout, one of the primary starting points should be to have an idea of the analytics to comprehend the demographics and behavior of users. This procedure should include analyzing a variety of data, such as screen sizes, browsers, device type, scroll depth, engagement rate, bounce rate, and more. With this analysis, you’ll get a set of standard metrics so as to how your visitors are interacting with your website. 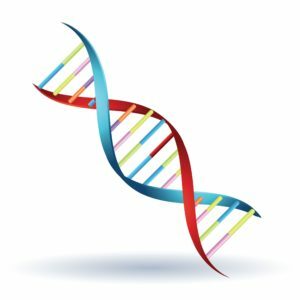 Once you’re done with the initial website audit, then comes the time to move on to hypothesis generation and testing. To execute this task adequately, you can come up with certain ideas for ad and content placement, and use A/B testing to finalize the placement based on the layout preferred by most of your users during the test. And then, by combining the analytics and A/B testing data, you can easily optimize your website to generate better revenue and high results. As it should be clear by now that the importance of above the fold design is important but complex. Keeping this in mind, you should be wary of such advice that talks about perfection. Certainly, users’ habits have transformed tremendously over the past decade. In the past, because of slow internet speed and laboriously slow websites, it was a common practice for most of the internet users to avoid below the fold. However, today, with SEO optimized WordPress themes, quick loading sites, and super-fast internet connection, people don’t hesitate when it comes to scrolling the mouse. This has led to the commencement of minimalist and elegant designs that use the entire real estate of the website to publish essential information. However, this doesn’t make above the fold strategy a thing of the past. So, even if you’re contemplating to use this strategy, make sure you are forming a balance between the subject and context. That’s the primary thing that can help you obtain success from your above the fold strategy. You will have a website homepage with SEO friendly features. Set the Homepage SEO Title, Homepage SEO Description and Homepage SEO Keywords and you are all set for your SEO page rankings to go higher.